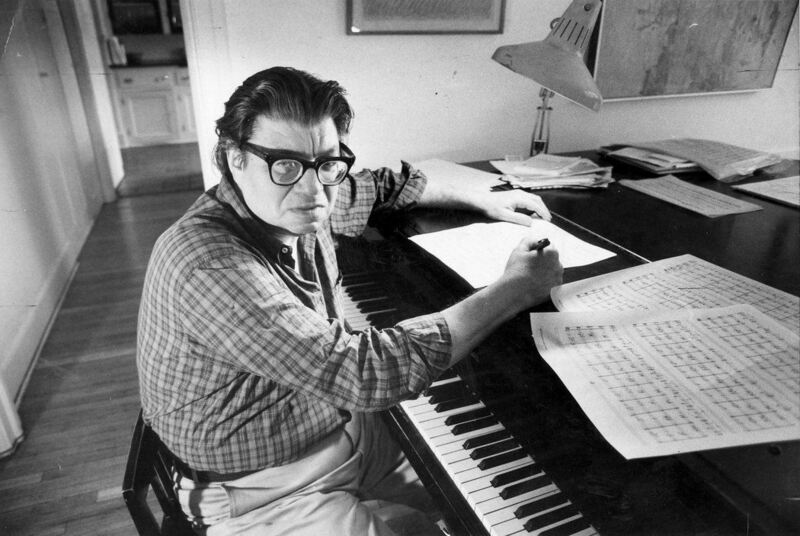 Today marks the ninety-second anniversary of the birth of American maverick composer Morton Feldman (1926-1987). Amid an increasingly loud, fast-paced contemporary world, Feldman’s music moves in the opposite direction. Frequently, it emerges somewhere just above silence. We’re forced to confront the nature of sound, itself. Many of Feldman’s works unfold gradually over incredibly long durations of time. His longest works- the five-hour-long String Quartet No. 2 (1983), and the eighty-minute Piano and String Quartet (1985), for example- play tricks with our perception of time. They are musical “experiences”- as Kyle Gann writes, something akin to living with a great painting on your wall. “In its ritual stillness, this body of work abandons the syntax of Western music,” writes Alex Ross. My whole generation was hung up on the 20- to 25-minute piece. It was our clock. We all got to know it, and how to handle it. As soon as you leave the 20- to 25-minute piece behind, in a one-movement work, different problems arise. Up to one hour you think about form, but after an hour and a half it’s scale. Form is easy: just the division of things into parts. But scale is another matter. With Mme. Press at twelve, I was in touch with Scriabin, and thus with Chopin. With Busoni, and thus with Liszt. With Varèse, and thus with Debussy, and Ives and Cowell, and Schoenberg. … They are not dead. They are with me. … I have the feeling that I cannot betray this continuity, this thing I carry with me. The burden of history. In Piano and String Quartet, you can hear Webern in the distance – in the way each gesture, each note, each phrase matters. It’s just that in Feldman’s music there are so many, many more of them. This is one of Morton Feldman’s last pieces, written two years before his death. Reserve some quiet, meditative time, close your eyes, and give this music deep, committed listening. Then, feel free to share your experience in the comment thread, below. Piano and String Quartet has been my favorite piece of music for over 13 years. It never fails to astonish me. It is like visiting a monumental and nearly endless garden of sound.